One day or the other, you will have to choose an economic model for your App. 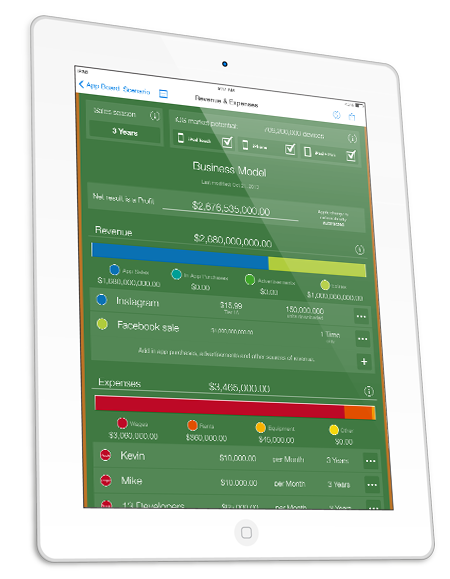 To quickly find out its overall profitability, AppCooker suggests you estimate the revenue & expenses at the same time. All through your project, you’ll have a good idea of what it costs to produce and how much it may earn. It is way simpler to use than a table editor: open a project, imagine a scenario and find the break-even point in less than five minutes. The custom interface can mix various sources of revenue with different kind of expenses. All time-based items such as In App purchases or wages are easy to set up. The net result is automatically calculated, based on the sales season and the number of downloads. You can change all numbers to make iterations on your business plan and have quick results instead of working on complex formulas. This tool has been designed to help you know for sure if your App is worth developing or not. Whether you sell your App through the App Store or license it, AppCooker has a dedictaed tool to know for sure. Want to add In App Purchases? 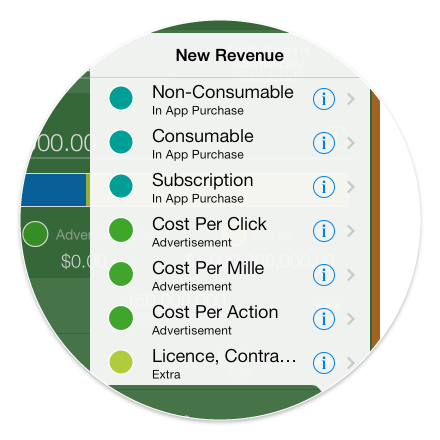 supports the three types of In App purchases: consumable, non consumable and subscription. All three are fully customizable. You can customize up to three different types of advertising methods: cost per click, cost per mille and cost per action. Expenses grow extremely fast over the time, this is not the case with your sales. 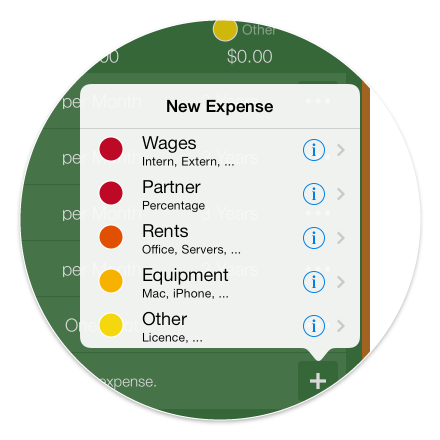 You can add wages, rents, equipment and others sources of expenses. Each one of them can be customized as a one shot or recurrent expense. The main source of expenses is human resources. Therefore you should be careful when starting your project or it can quickly turn into a nightmare. 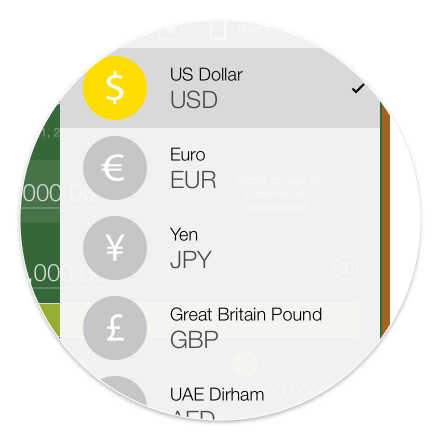 AppCooker works with the currencies supported on iTunes Connect. If your currency is not listed below, it means that Apple will pay you based on the stocks, not on a fixed amount. As soon as Apple adds new ones, they will be included to AppCooker. How many iOS devices are out there now? 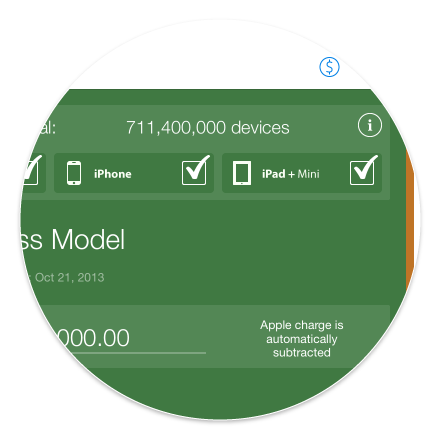 Get a daily estimation of the number of iPod Touches, iPhones and iPads sold since the introduction of the first iPhone. Calculation is based on info published by Apple during its quarter results.